WASHINGTON—Teachers and their unions won, GOP President Donald Trump lost and the fate of the Dreamers is still up in the air. Those are some of the key conclusions from reading sections of the $1.3 trillion money bill for the federal government through Sept. 30 and congressional and outside analyses of it. The devil is in the details of the measure, which congressional leaders of both parties hailed, but which Trump reluctantly signed. He complained lawmakers didn’t give him the $25 billion he wanted for his “big, beautiful” Mexican Wall. Then Trump said he’d try to get it from the extra billions lawmakers shoveled at the Pentagon. He got immediate pushback on that scheme, too. The wall was one of many Trump priorities – large and small – Congress deep-sixed. He wanted to cut the National Labor Relations Board’s spending by 10 percent, for example. Congress kept it the same as last year, $274 million. And Trump and his anti-teacher, anti-union, anti-public-school Education Secretary Elizabeth “Betsy” DeVos wanted to cut federal school spending by $9 billion, while shifting $1 billion to charter schools and taxpayer-paid vouchers for parents of private school kids. Congress said no to the cut and the hike. “We do not advance the radical agenda of taking money from public schools through private school vouchers,” said Rep. Rosa DeLauro, D-Conn., top Democrat on the House Appropriations subcommittee that helps fund labor, health and education programs. 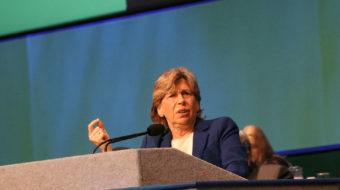 That decision, and others, pleased American Federation of Teachers President Randi Weingarten, National Education Association President Lily Eskelsen-Garcia and American Federation of School Administrators President Diann Woodard. The new funding bill “takes the first step in reinvesting in education funding after years of reckless austerity and prioritizes programs which help our students most in need,” said Eskelsen-Garcia, an elementary school teacher from Salt Lake City.” The new law adds $4 billion for Head Start (+$610 million), for funding to the poorest school districts (Title I) and for educating students with disabilities. “It also supports efforts to make college more affordable with a boost to Pell Grants,” which Trump wanted to freeze, Eskelsen-Garcia said. And Congress rejected DeVos’s demands to kill afterschool funding for elementary school youngsters and aid to districts for professional teacher development. Weingarten, a New York City middle school civics teacher, agreed. Both Weingarten and Eskelsen-Garcia praised legislators for rejecting Trump’s Mexican Wall, and money for the “Trump deportation force” increases, too, as the NEA head put it. 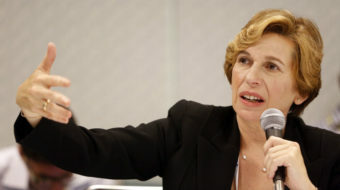 Instead of $25 billion for the wall, Weingarten noted lawmakers allotted $2 billion more to fix crumbling infrastructure – including schools – than Trump sought. Woodard thanked her members for lobbying for the professional development program, which got the same $2 billion as last year. Trump and DeVos wanted to kill it. The funding law also lets states spend up to 3 percent of the professional development money “specifically on principals,” Woodard said. “All of our members should be thrilled and all of our advocates should take a bow,” Woodard added. Lawmakers inserted other priorities Trump pooh-poohed or opposed. For example, they added money – and a separate law – to expand the Justice Department’s national system for checking gun buyers’ backgrounds, one demand of the gun-control marchers since the Valentine’s Day massacre at Marjory Stoneman Douglas High School in Florida. And legislators funded the background checks without a provision – yoked to it last fall by the GOP-run House after gun lobby demands – mandating all states recognize any state’s concealed carry laws. Lawmakers also let the Centers for Disease Control study gun violence as a public health issue, reversing a decade-old gun lobby-engineered ban. They didn’t provide money for the study, though. One big group of workers – those who survive on tips – won. The new law bans bosses from stealing the workers’ tips. That was a major victory for the labor-backed Restaurant Opportunities Center, restaurant servers and similar workers and a defeat for the anti-worker National Restaurant Association. But Senate Majority Leader Mitch McConnell, R-Kent., got his ban on overtime pay for minor league baseball players into the bill — no matter how many hours they worked. Planned Parenthood won as a right-wing scheme to cut off all federal funds to the contraceptive rights and counseling group was dropped. So did 782,000 retired rail workers; The federal board that oversees their pensions and benefits got about $20 million to upgrade its information technology system, AFL-CIO Transportation Trades Department President Larry Willis said. 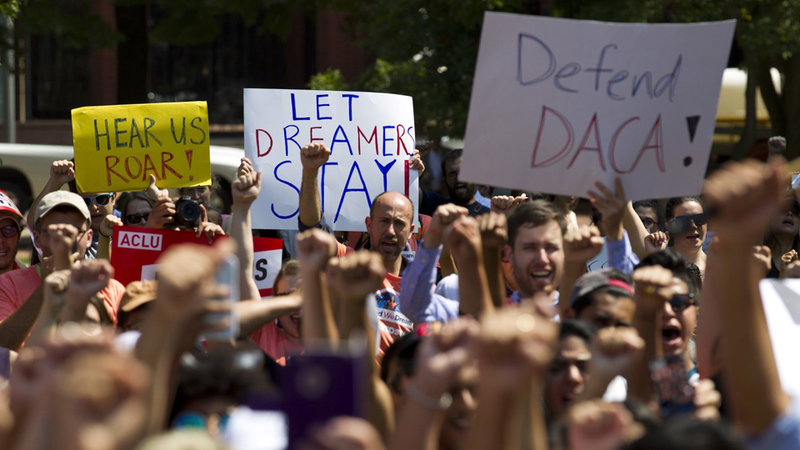 But not everybody was happy, especially the Dreamers – the 690,000-800,000 undocumented people in the U.S. thanks to the Obama-era Deferred Action for Childhood Arrivals program – and their backers. Trump killed DACA and planned to deport the Dreamers, starting March 5, but federal courts stopped him. But he in turn sabotaged efforts by the Dreamers and their congressional champions to put a permanent DACA into the money bill. “We continue to be deeply disappointed that there is no permanent solution included for our Dreamers or DACA recipients,” NEA’s Eskelsen-Garcia said. “While this bill does not fund President Trump’s ‘big, beautiful wall,’ his anti-immigrant, anti-Latino agenda remains alive and well,” warned Janet Marguia of UnidosUS, the former National Council of La Raza Unida. The GOP and Trump “continued their assault on immigrant communities by once again refusing to protect Dreamers. 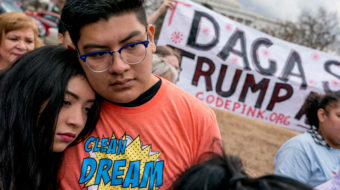 As Dreamers suffer in a cruel limbo, Republicans are ramping up a deportation machine with more agents and more enforcement that destroys families and tears communities apart,” said Reps Mark Pocan, D-Wis., a Painter, and Raul Grijalva, D-Ariz., co-chairs of the Congressional Progressive Caucus. The two and their Progressive Caucus also blasted the top GOP success: More money for the Pentagon. “Again, Republicans have chosen to prioritize war over diplomacy. President Trump continues to build up his war machine with a record-breaking $695 billion Pentagon budget plus another $65 billion to wage war, while critical diplomatic agencies,” including the State Department “remain underfunded. Such careless disregard for America’s diplomatic efforts perpetuates an out-of-control Pentagon budget and endows the executive branch with a virtual blank check to wage shadow wars across the globe that endanger American troops and interests,” Pocan and Grijalva said. 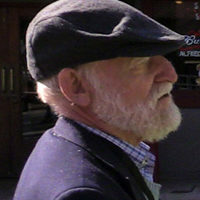 The Government Employees (AFGE) touted several wins in the legislation. They included a continuing moratorium on Office of Management Budget efforts to contract out government jobs, a ban on “base closures” for both military bases and VA hospitals and “prohibiting civilian caps, direct conversions, and contracting out without public-private competitions in the Department of Defense.” Congress also dumped Trumps’ 31 percent cut of Environmental Protection Agency money, AFGE said. “The bill isn’t without problems, though. It fails to make investments in the VA to adequately serve our veterans and fill the 49,000 vacancies plaguing the system. President Trump and the House of Representatives sought previously to eliminate all funds” for those projects, AFGE said. And the union leveled that criticism before Trump’s latest move: Firing VA Secretary Dr. David Shulkin at 5:31 pm on March 28. Trump wants to replace Shulkin with the presidential doctor, a Navy admiral with no management experience. Shulkin told morning news shows Trump fired him – by tweet – for resisting privatization of the VA hospital and health care system. That’s a pet project of the right-wing billionaire Koch brothers, their veterans front group and ideologues they placed in top VA political posts, just below Shulkin. Some 92 percent of veterans oppose VA privatization, surveys show.